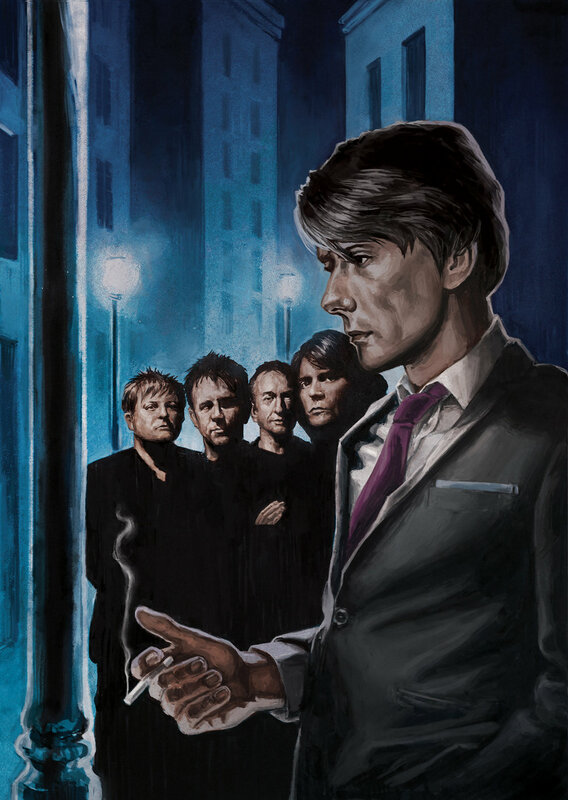 I was asked by MOJO to provide some artwork to accompany their featured review of Suede's latest album release 'Night Thoughts' . The article itself touches upon the fact that the album was partly inspired by Frank Sinatra's haunting album 'In the Wee Small Hours of the Morning'. So the brief given to me by MOJO was to reimagine the Britpop-rockers in the guise of Sinatra's classic album cover.